With so many charities launching emergency appeals for The Philippines, it can be hard to know who to support. 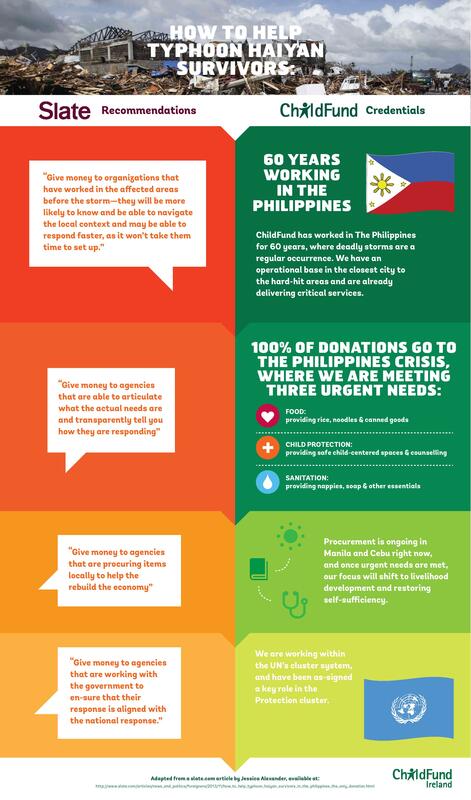 This infographic uses impartial recommendations to show that a donation to ChildFund is one of the very best ways you can help survivors of Typhoon Haiyan. Donate now, safe in the knowledge that 100% of your contribution is going to where it’s needed most.